 Welcome back to the Peachtree Place Blog! In this post, we are inviting you to throwback to your childhood by playing a classic board game. Stay inside and escape the summer heat here in Columbia, SC or host a game night at your apartment! Any of these games would make a good choice. This game takes you on a journey that mimics life with events such as going to college, raising a family, buying a home, working, and retiring. There are a handful of intersections where you can choose to go one direction or another but they ultimately have similar spaces and meet back up quickly. There are a handful of choices regarding insurance and investments but for the most part it is a game of luck. This is a slide pursuit style game that can get pretty competitive. Race your four game pieces from Start around the board to your Home in this Pachisi-type game. By turning over a card from the draw deck and following its instructions, players move their pieces around the game board, switch places with players, and knock opponents' pieces off the track and back to their Start position. The goal in this game is to monopolize. Players take the part of landowners, attempting to buy and then develop their land. Income is gained by other players paying rent when visiting their properties. Taxes, upkeep, and paying rent to other landowners all are all a part of the game. When times get tough, players may have to mortgage their properties to raise cash for fines and other misfortunes. The classic detective game! In Clue, players move from room to room in a mansion to solve the mystery of: who done it, with what, and where? Players are dealt character, weapon, and location cards after the top card from each card type is secretly placed in the confidential file then placed in the middle of the board. Players must move to a room and then make an accusation against a character saying they did it in that room with a specific weapon. The player to the left must show one of any cards mentioned to the accuser if in that player's hand. Through deductive reasoning each player must figure out which character, weapon, and location are in the secret file to win the game. Do you have a favorite classic board game? There are so many of them! Let us know in the comments.